It was dark already and ‘Holi” was still more than a week ahead. It did not matter to us, as the moment the water balloons and colors were available in the market, it was time for us to set the ball rolling. I and my younger siblings had got our cache of water balloons filled and ready in a small packet as we hid in the balcony of our second floor quarter. The camouflage was complete, with a cot covered with a sheet to give us a perfect hiding place. The first one targeted was a taxi driver who was walking towards the thick growth of bushes to attend the nature’s call. The balloon struck the unsuspecting target and he shouted! We hid ourselves and held our breath. The thrill that we experienced was unmatched. More targets were located and the water balloon missiles kept hitting the targets ranging from a college girl, a neighborhood friend, the vegetable seller and many more! The operation lasted barely half an hour lest we be caught in the act, never targeting the same person again! On the night of ‘Holi’ the neighborhood congregated around a bonfire to dance , celebrate with dry colors, exchange greetings and sweets. We would join the revelry and after a while peel off to commence our covert operation from the balcony. Once, the missile inflicted damage to the guitars being assiduously tuned by Mr Brown, a friendly neighbor! The camaraderie was such, that despite knowing who was behind it, never took offence ! On the D- day morning, we would arm ourselves with pichkaris, gulal with fragrance of rose petals, of all hues, green, pink, red, and yellow. After getting wet we would stand in the sun to dry ourselves, raid the kitchen full of delicious, gujias, kachori, samosas, besan sev, laddos, namak para and many more , all prepared at home. We would then converge on other houses and indulge in endless spraying of colors, eat savories in their house and exchange greetings. Later in the afternoon the entire neighborhood gathered in the lawns where people would ‘drink thandi and bhang’ play drums, dance and sing songs. We had a mix of people of all religions and background in the government colony where we lived and each one celebrated with only same rare exceptions! It was a day when all the differences were sunk in the spirit of unabashed revelry. It gave us an opportunity to savor the delicacies of every region in the country and reflected the rare unity which is difficult to witness in present times. 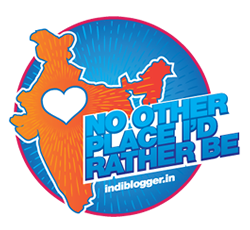 2.“I’m pledging to #KhulKeKheloHoli this year by sharing my Holi memories atBlogAdda in association with Parachute Advansed." 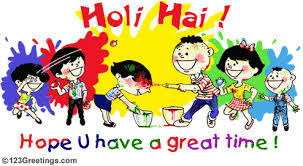 Happy Holi Rahul.... Lovely festival it is indeed! Wishing you and your family a very colourful Holi, too Jaishree! You hit water balloons on college girls? I used to love the festival in college but now it is more about rain dance, beer and wet colours which is not a welcome thought. Wish you and family a very happy Holi. Shocked:) that was bay back in school times and it was fun to see the reaction. Over the years the fun and gaiety associated has weaned off. Wishing you and family a very enjoyable Holi, Alka. I was never a fan of holi, but after reading your post I know why everyone loved it. I love the part where I got lunch and sweets. The holi in your colony sounds so happy! It is always nice to live in colonies...we lived in one in Hosur. All of us, South Indians too joined the Marathi Bengali group to play holi! Happy times! Thanks a lot Sandhya for reading and for me living in a colony has been a bliss. Looks as though you enjoyed playing holi. I am so scared of these colours that I have never played holi in my life. I just put a tikka of dry powder on peoples' heads and got a tikka in return. Happy Holi, Rahul. Loved playing Holi! Best wishes for a colorful Holi, Rachna. Holi was never my favourite festival, especially after I grew up. I started resenting getting splashed with water every time I stepped out of the house. And this would start weeks before the actual festival. The way Holi is played leaves a bad taste sometimes. One must respect the individual's preference to play or otherwise.